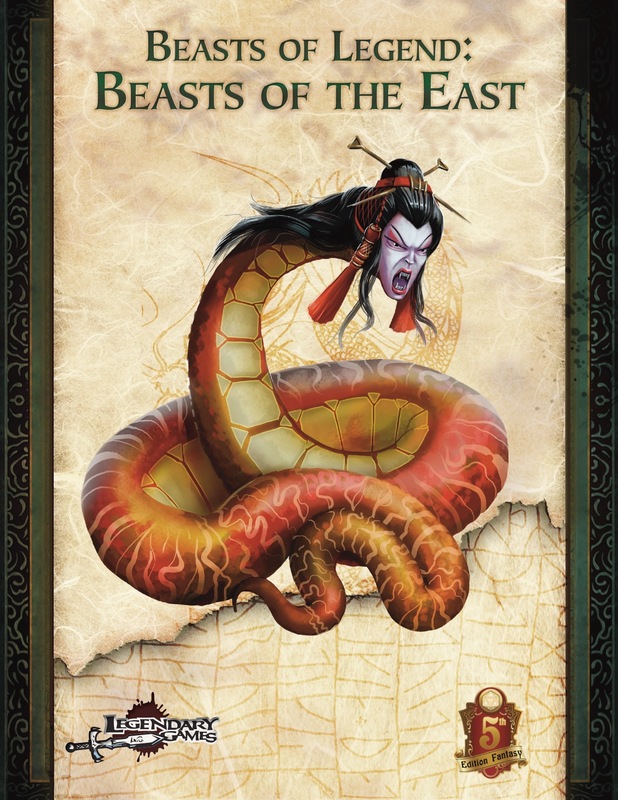 Beasts of the East reaches into the mythological and folkloric wellsprings across Asia to bring you an octet of amazing opponents. 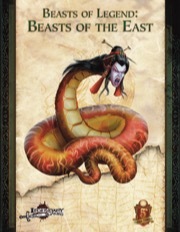 Whether your heroes are traveling on an epic transcontinental journey into Eastern lands or running a campaign already set in fantastic realms inspired by the Orient, Beasts of the East draws deeply upon the Asian legendarium to bring you creatures not just from the familiar stories of China and Japan, but ranges more broadly into the lore of Cambodia, Vietnam, and Tibet to bring you fantastic foes for your campaign. These creatively constructed creatures comprise a delightfully novel resource for GMs looking to expand their monster toolkit for exploring Asian adventures or just adding a bit of Asian spice to a traditional Western campaign, with great companion products like Road to Destiny and The Baleful Coven, as well as upcoming adventures and accessories like Under Frozen Stars, The Way of Ki, and Meditations of the Imperial Mystics! Asian adversaries available now for 5E!